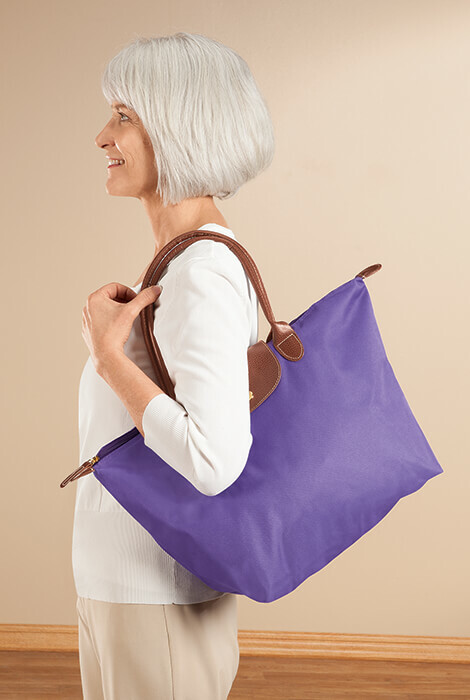 Fashionable Purple Foldable Tote totes your stuff when you need it, folds down to nearly nothing when you don't. 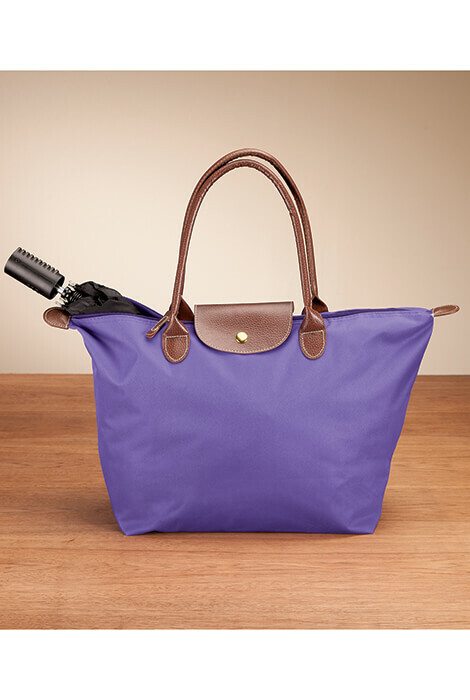 Keep it in your car or pack it for your next vacation, and you'll always have a reusable foldable bag on hand. 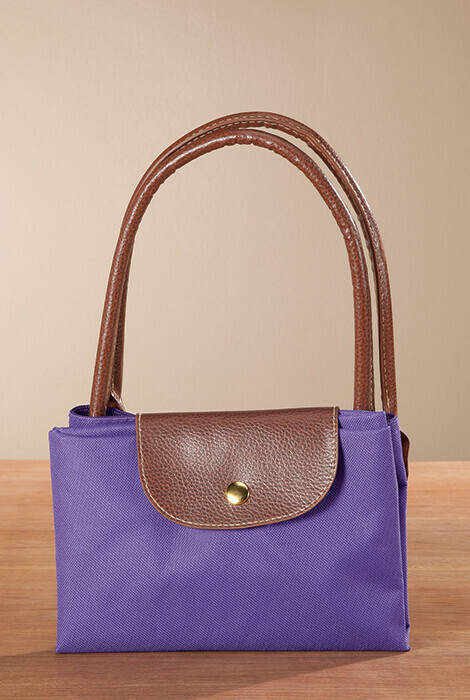 Sturdy lined tote features a snap closure and double 7"drop leather handles for a roomy, comfortable grip. Simply fold and snap closed when not in use. 19" x 12 1/2" x 7 1/2" unfolded. Durable polyurethane. Wipe with damp cloth.